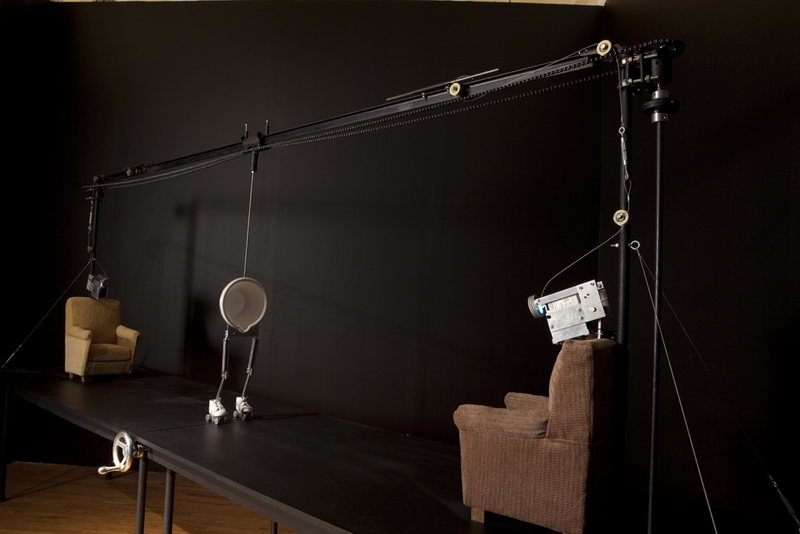 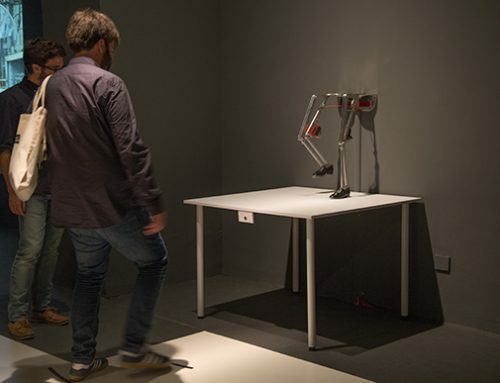 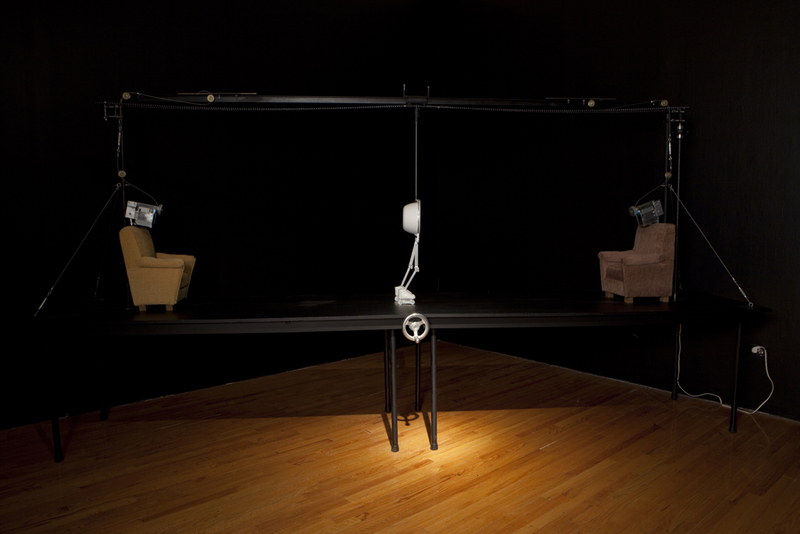 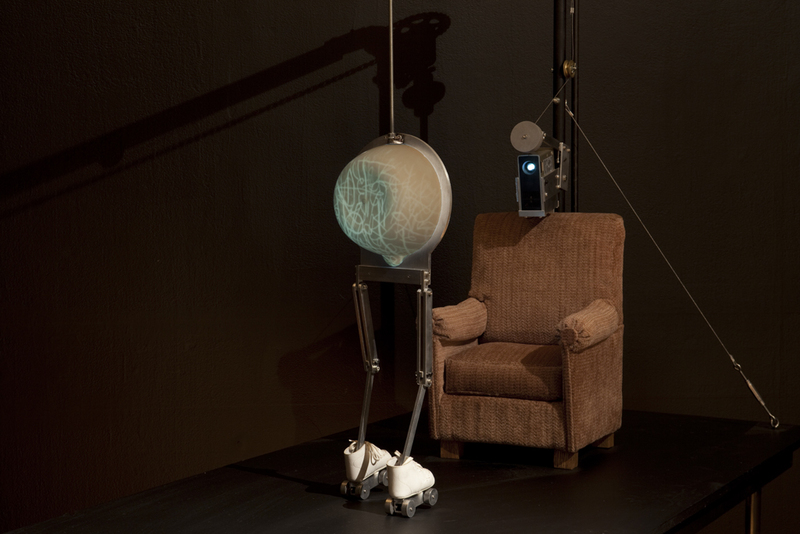 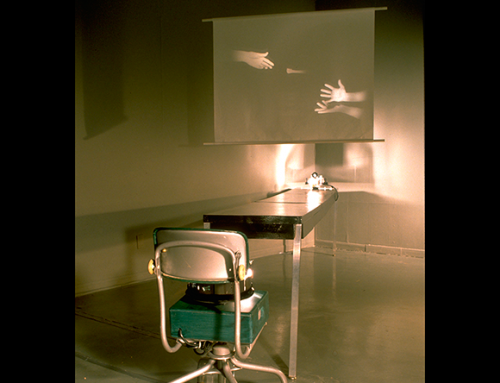 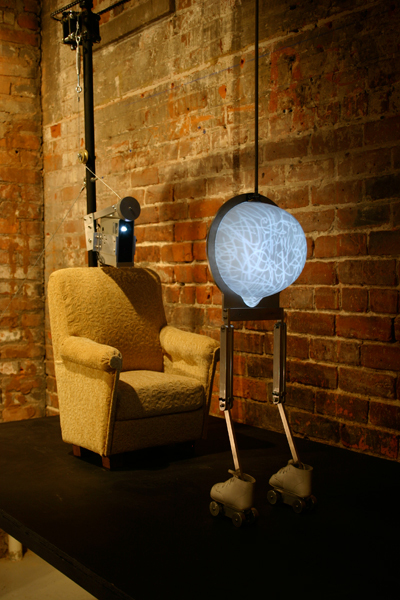 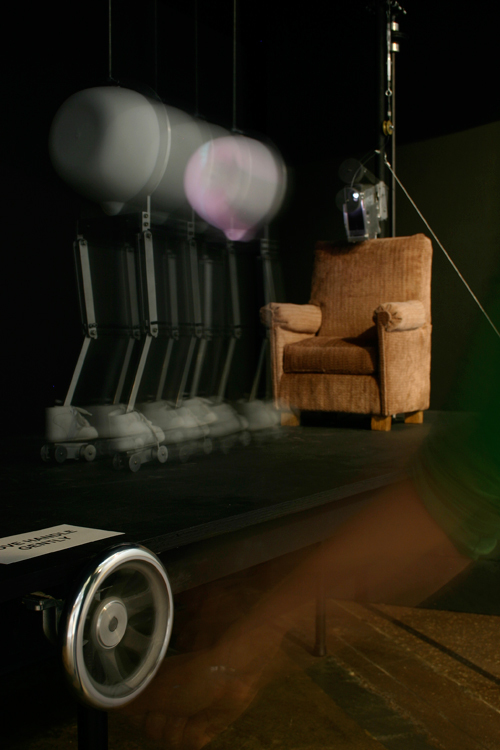 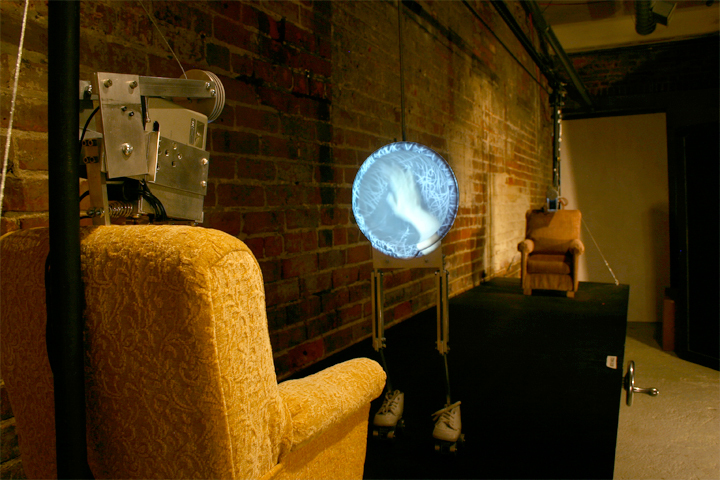 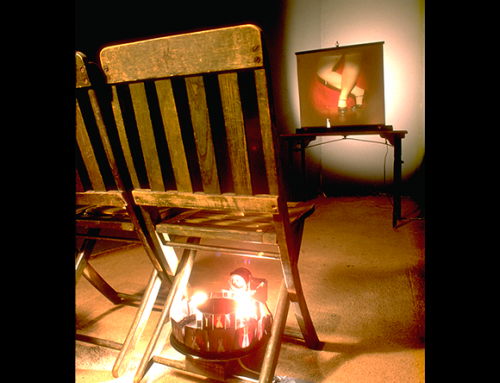 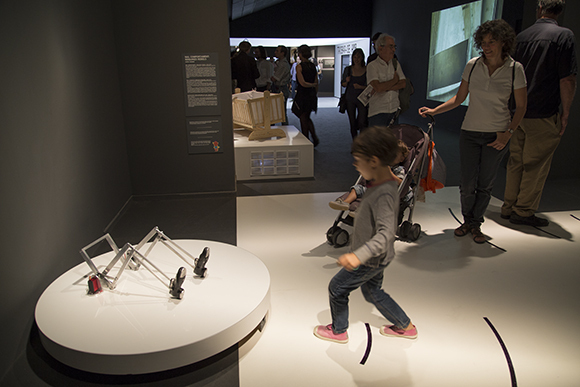 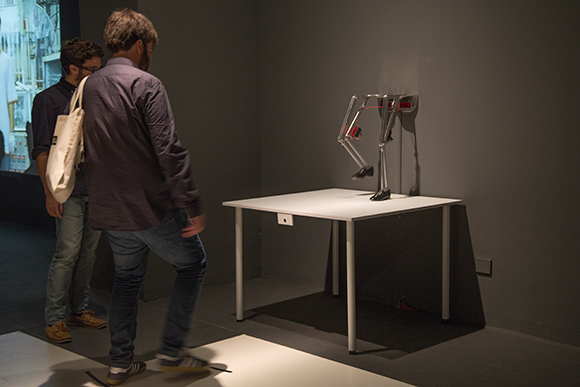 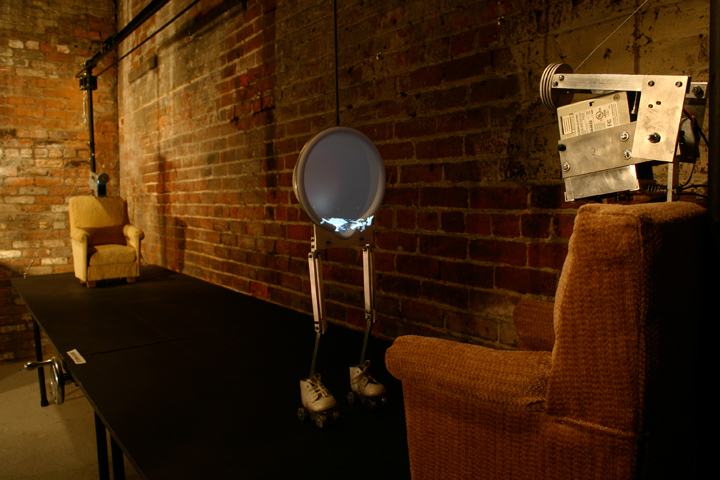 A pair of girl’s legs with a screen for a body is suspended on a track between two armchairs each having a video projector for a head. 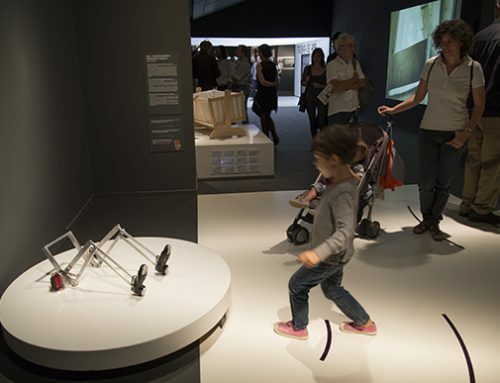 Viewers hand crank the chain mechanism and drive the girl from one side to the other. 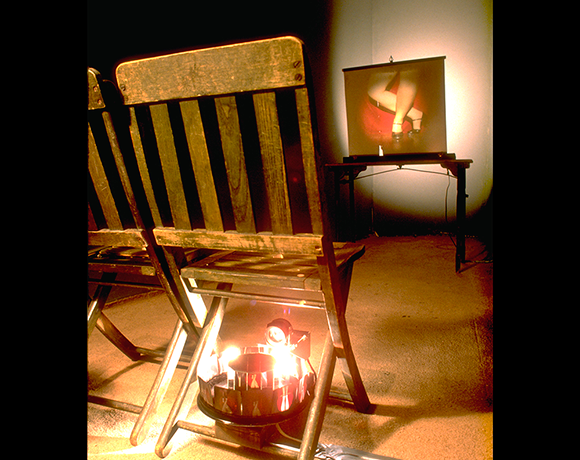 Like a child caught between two feuding parents or a political mediator, she becomes the site of exchange, physically embodying the conversation. 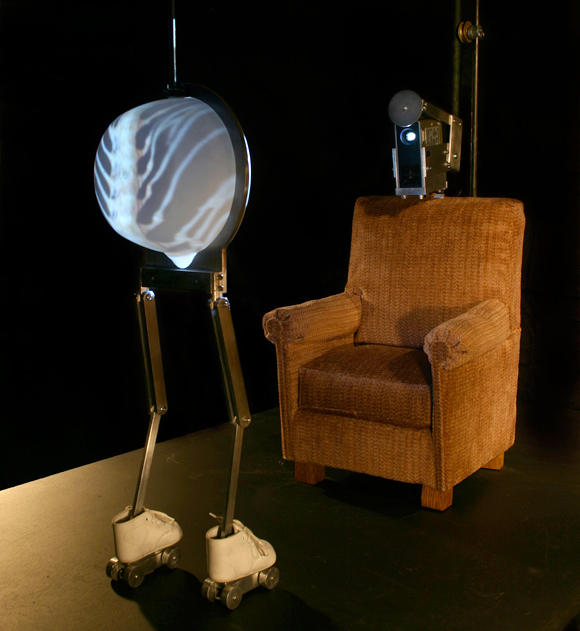 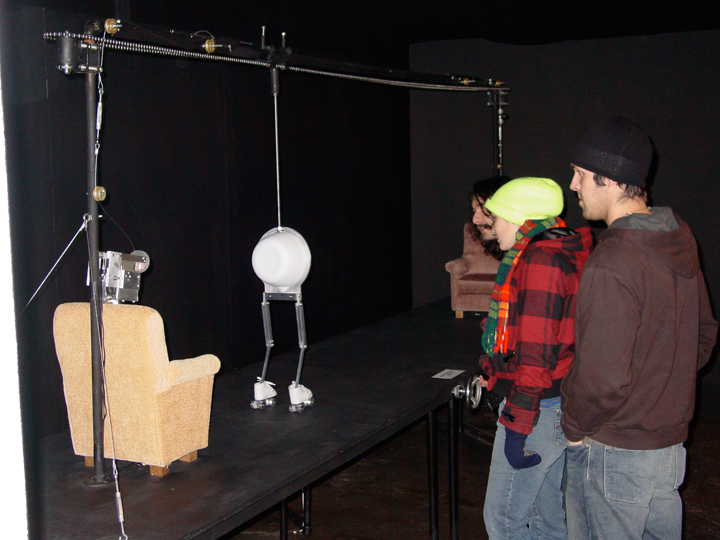 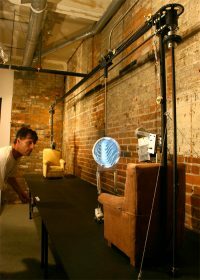 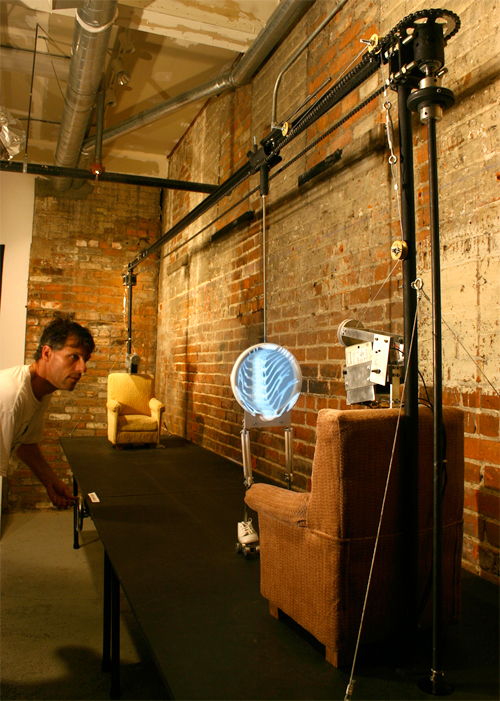 Mixed media: aluminum legs, plastic bowl, garage door opener structure, steel, bicycle chain, hand crank, two video projectors, two half-scale chairs, two media players, 14-foot long table, approx. 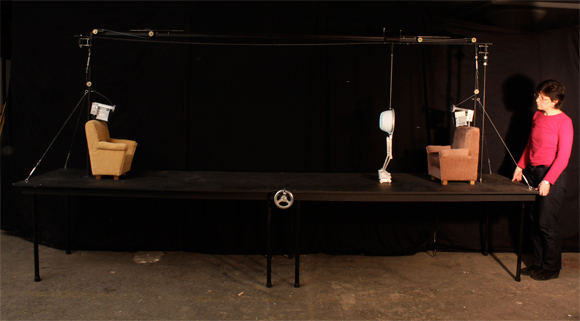 72 x 42 x 168 inches.